Cheltenham.jockeyclub.co.uk is the official racecourse website where you can buy tickets for the 2018 Cheltenham Festival. Cheltenham racecourse is the home of the Gold Cup. This famous steeplechase takes place at Prestbury Park on the edge of the Cotswolds. It was moved to today's ''New Course'' in 1959. Roddy Owen, trained by Danny Morgan, won the inaugural race ridden by Bobby Beasley in the ownership of the 12th Earl of Fingall. This Grade 1 National Hunt race is run over 3 miles 2 1/2 furlongs with 22 fences to jump. Thoroughbred horses aged five years and older may take part. It is scheduled to run in March during the annual Cheltenham Festival. This Blue Riband event is considered the pinnacle of jump racing. A number of outstanding horses have won this race including five-times winner Golden Miller, Arkle, Best Mate, Mill House & Kauto Star. Cheltenham racecourse is located at Prestbury Park, near Cheltenham in Gloucestershire. The Cheltenham Festival is the most prestigious meeting held every March. It features many top-class Grade 1 races including the Cheltenham Gold Cup, Champion Hurdle, Queen Mother Champion Chase & Stayers' Hurdle. The racecourse is located just below the beautiful escarpment of the Cotswold Hills at Cleeve Hill. It has a capacity of almost 70,000 spectators. It is also served by its own railway station although sadly not connected to the national rail network. 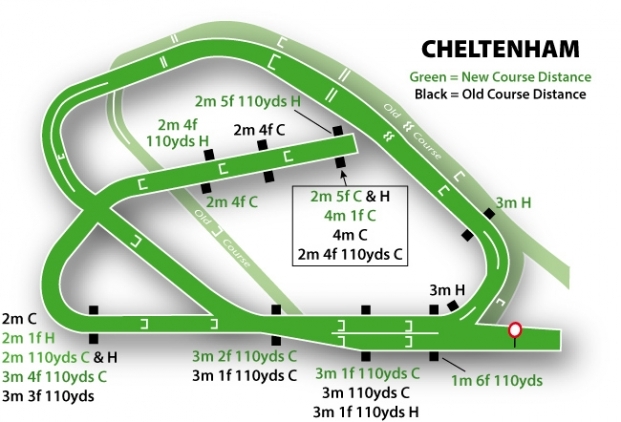 Cheltenham racecourse has an old and new course. With regard to the Gold Cup, which has been competed on the new course since 1959, ut features a tricky downhill fences and idiosyncratic long run-in compared with the old course.